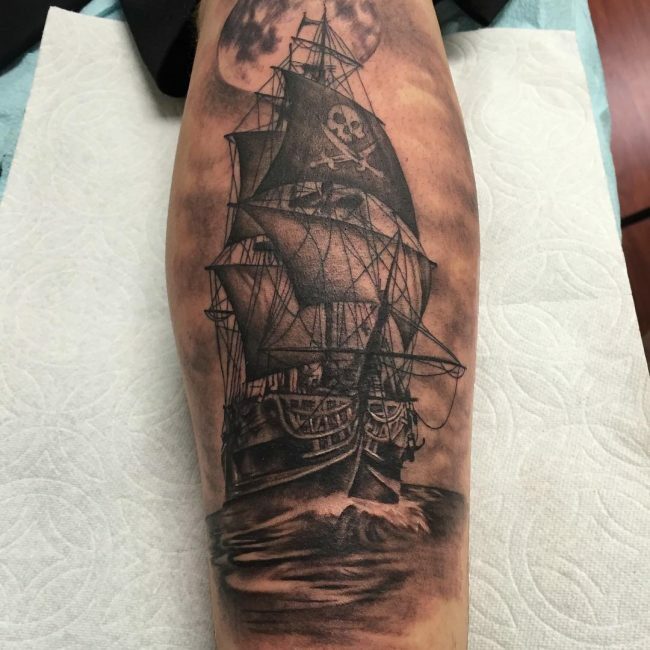 There was a time when a pirate tattoo would land one in deep trouble with the law because it was a symbol of terror out in the sea. 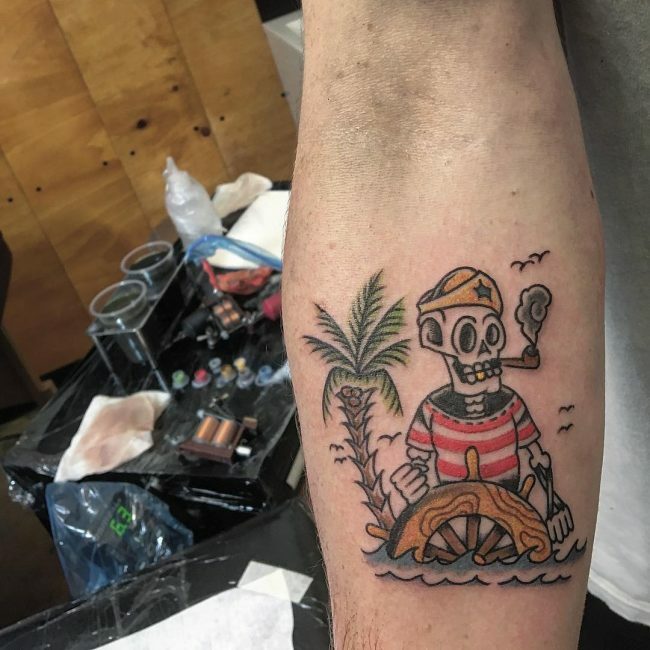 Pirates have been patrolling the world’s oceans for thousands of years and some small groups in the Caribbean and the East African coast still exist to date. 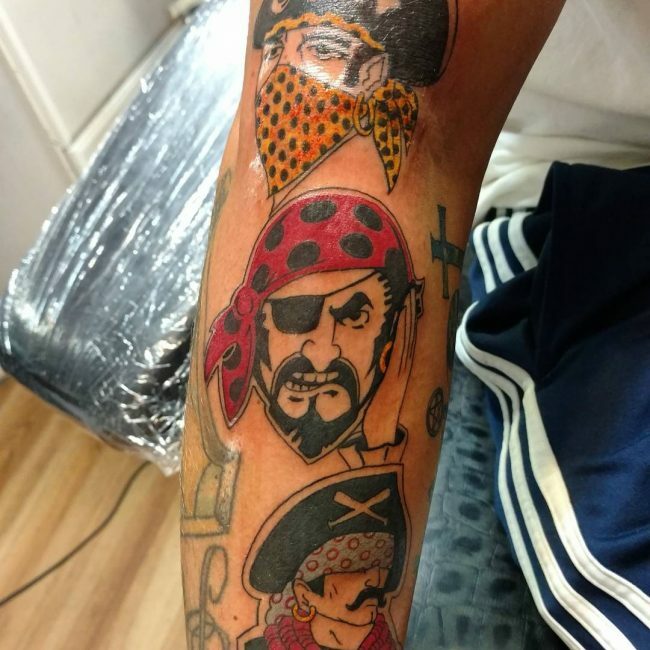 Although movies and books portray the pirates as heroes, they were gangs of rogue sailors that would steal from other ships. 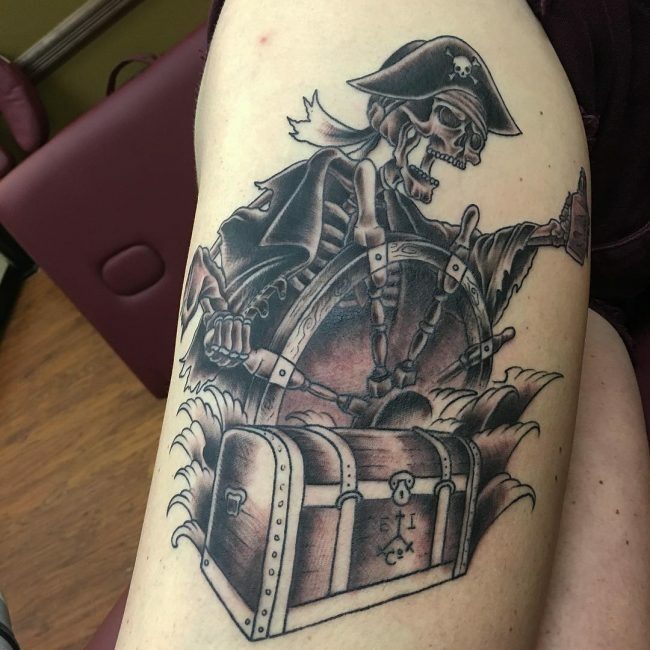 However, the myth and legend of pirates is still a huge fascination and many people like to identify with them, and the best way to do this is by drawing one of their many tattoos. 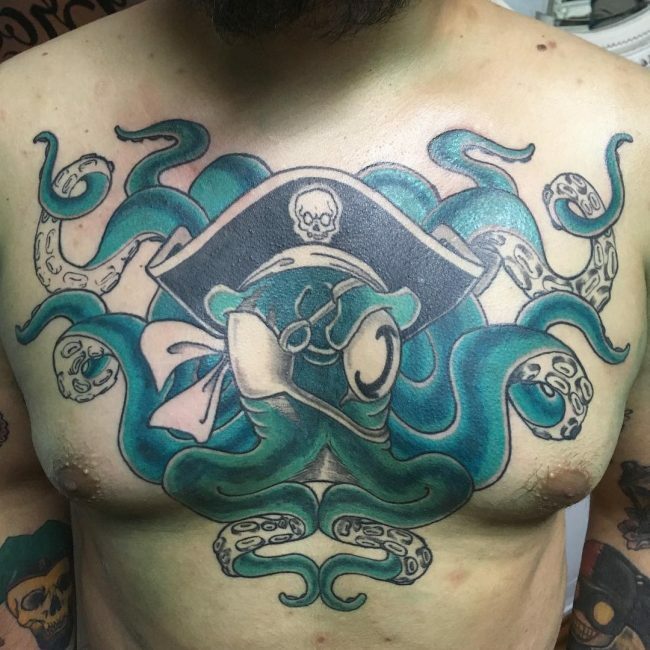 Apart from their distinct dress code, Pirates would also have astounding body markings that would include things like ships, anchors, and sea creatures. 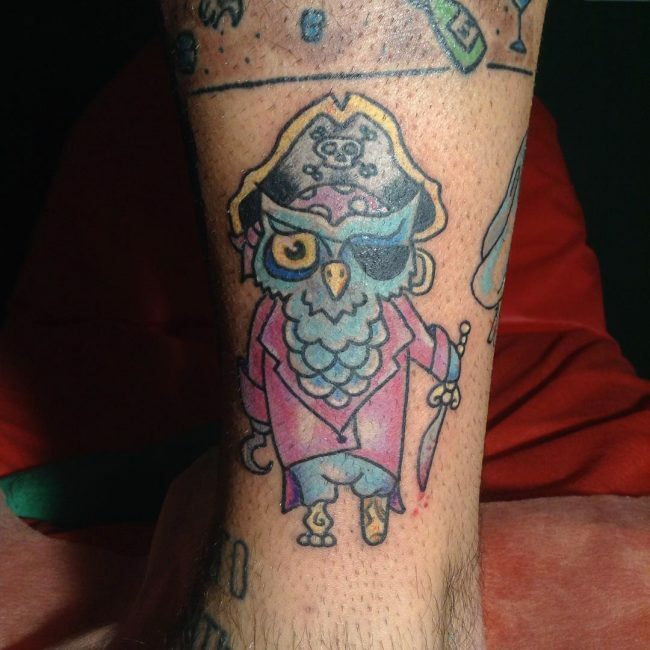 And so if you are thinking of getting a unique and stylish totem the options are endless if you choose to have one with a pirate theme. 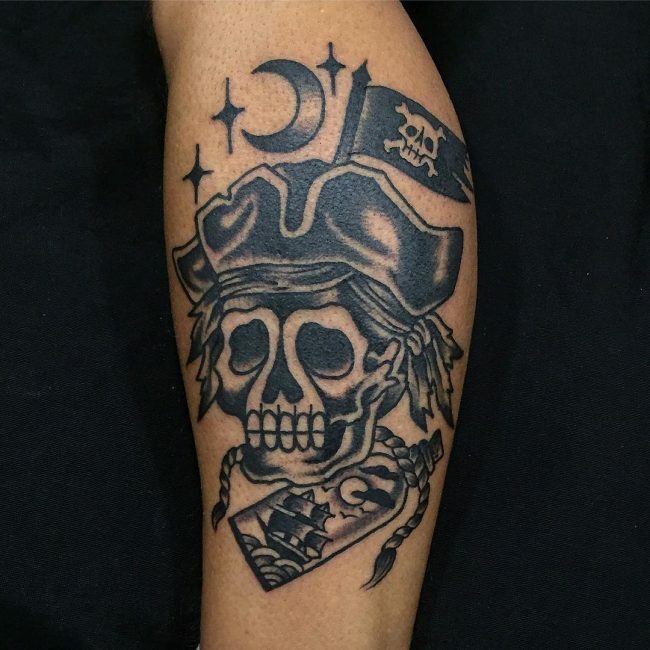 Pirate body markings are a symbol of rebelliousness and independence because these sailors did not work for anybody and they were just out to benefit themselves. 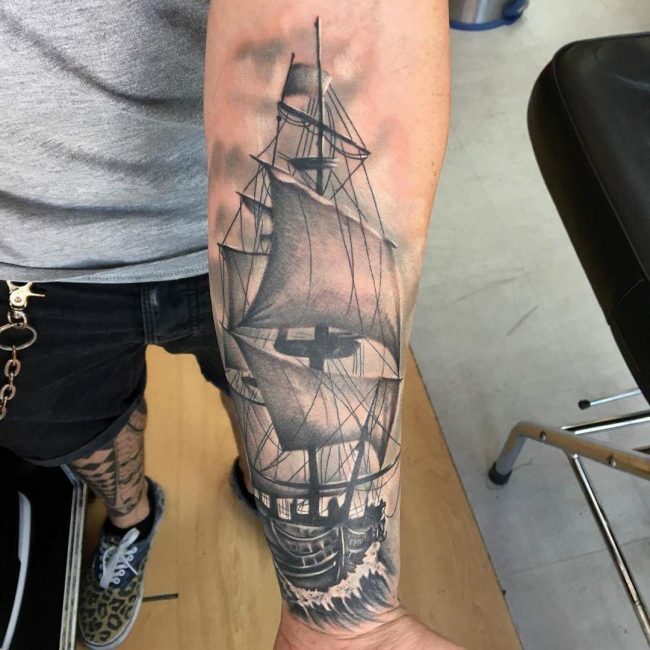 In fact, some pirates started off as merchants but would, later on, revolt against their employers by starting a gang with its ship that would hunt for treasure in the sea and also steal from other ships. 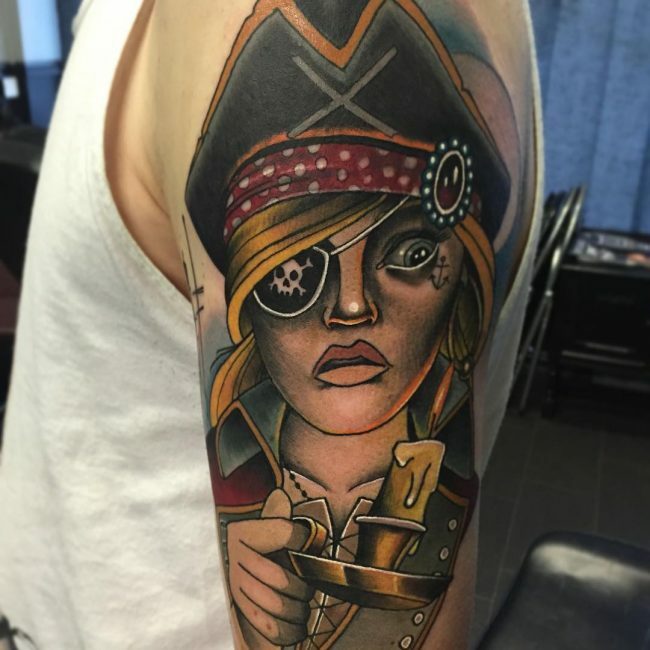 You have to be courageous enough to become a pirate because the sea is full of dangers. 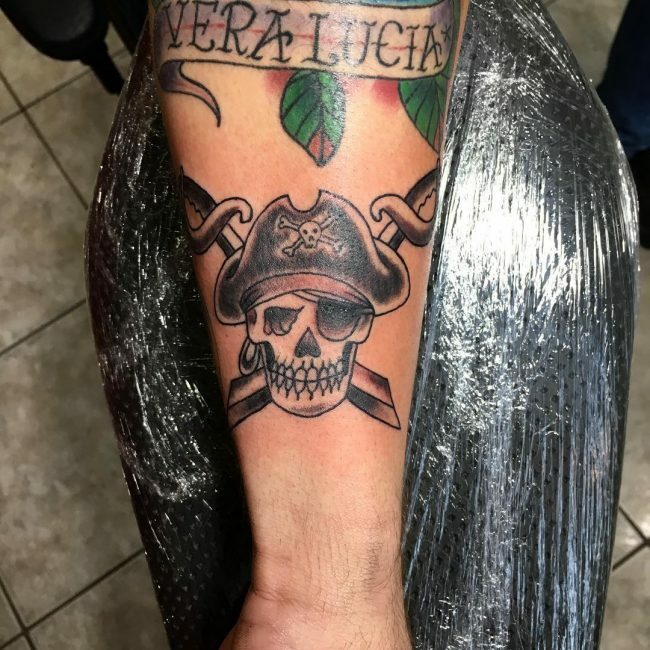 Without courage, you cannot survive as a pirate and so having one of their tattoos will symbolize that you are courageous. 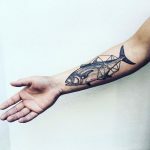 Also, most of their tattoos are very daring, and few people will have the courage to draw them without worrying about what others will think and say. 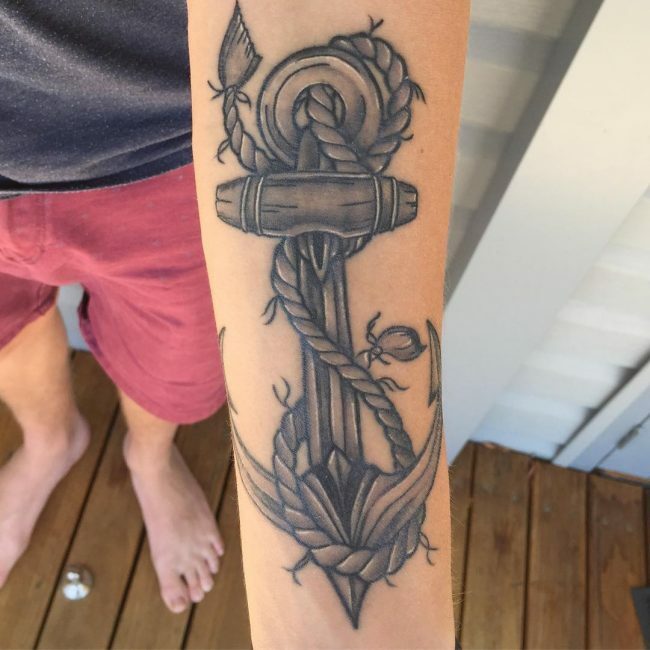 Unity is another common meaning that you can associate with these totems because it is what would make these groups of sailors survive out in the sea for long. 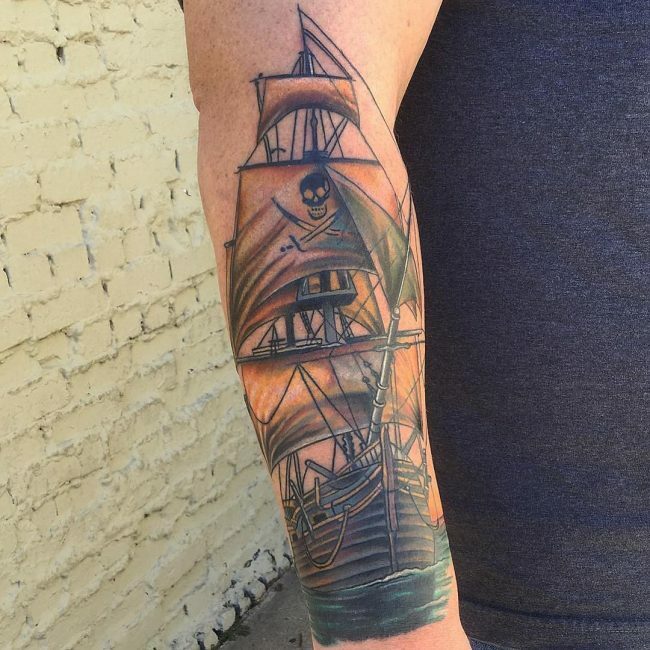 A pirate is a brave person in books and movies. 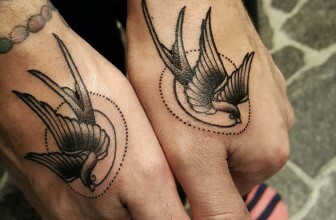 And so having one of their tattoos is a sign of bravery. 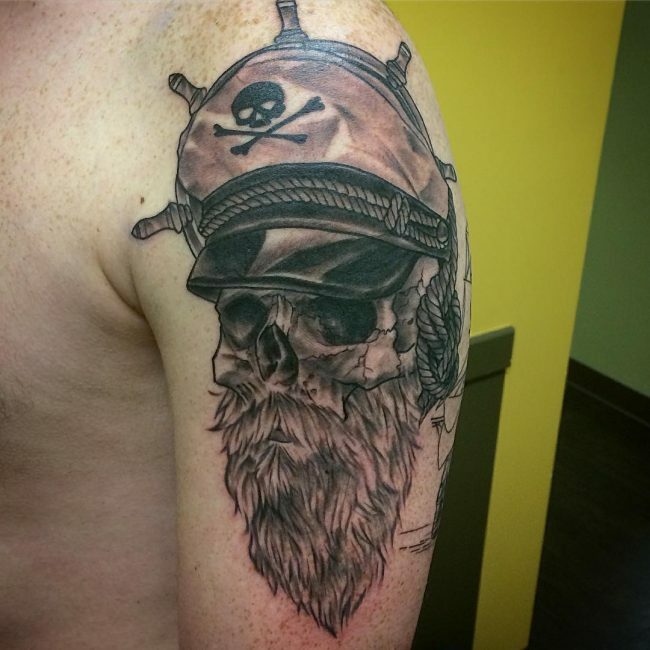 As a pirate, you have to be loyal to your crew and the course, as this is what will make you survive and thrive. 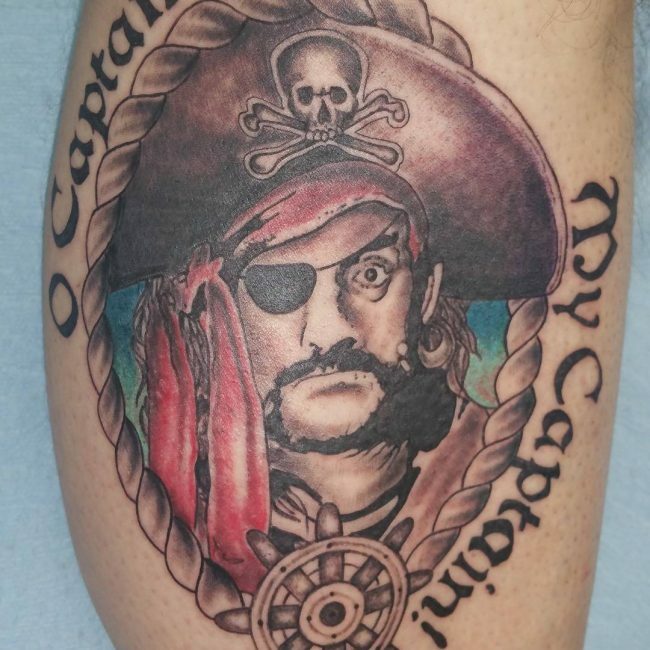 If you want to show loyalty to something a pirate tattoo will be an excellent idea. 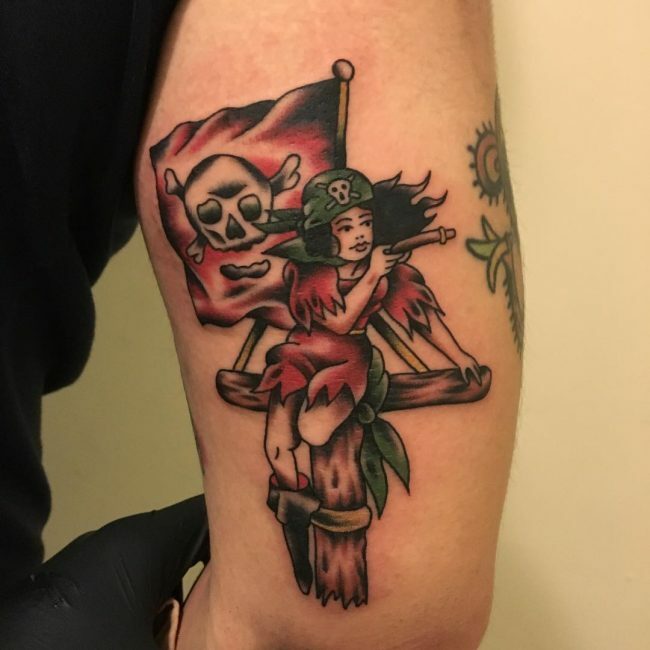 Pirates are also very deceitful which is an essential trait that they need to survive in their line of business and so your totem can also be a symbol of deceit. 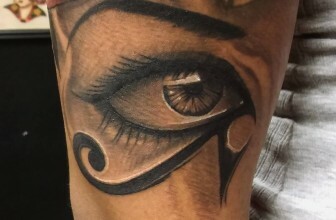 However, you can still have these tattoos for their beauty, and you do not always have to associate yours with any symbolism. 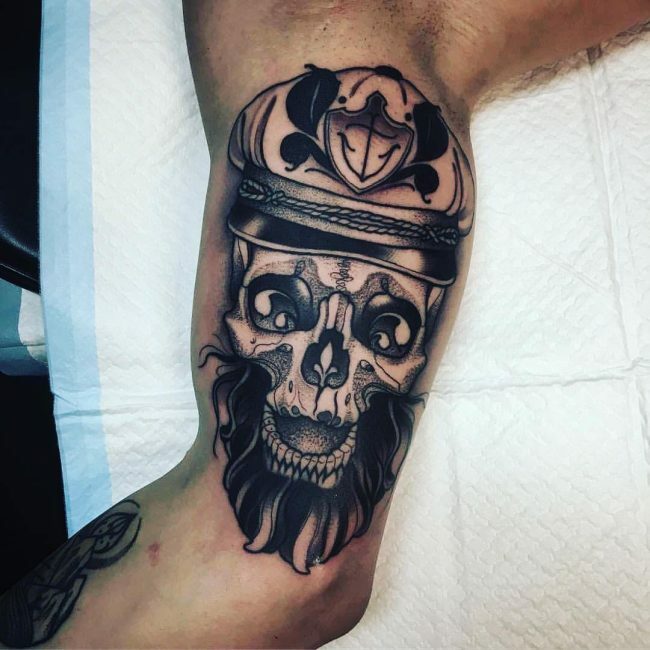 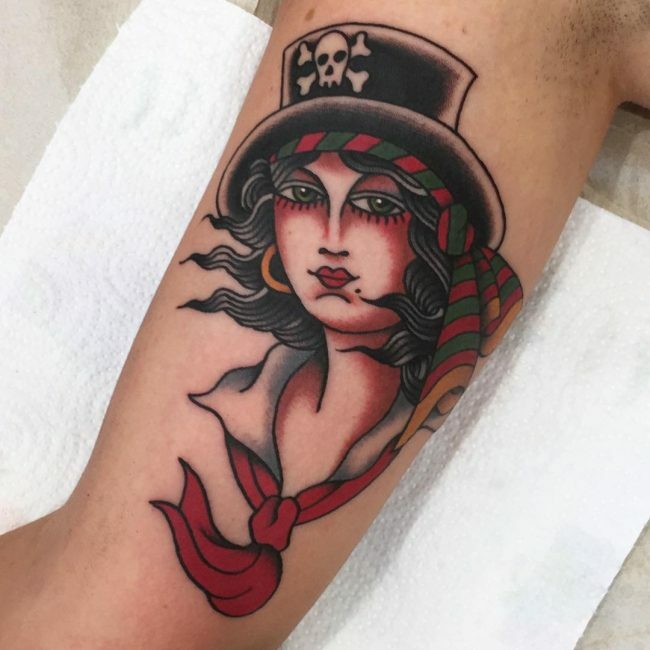 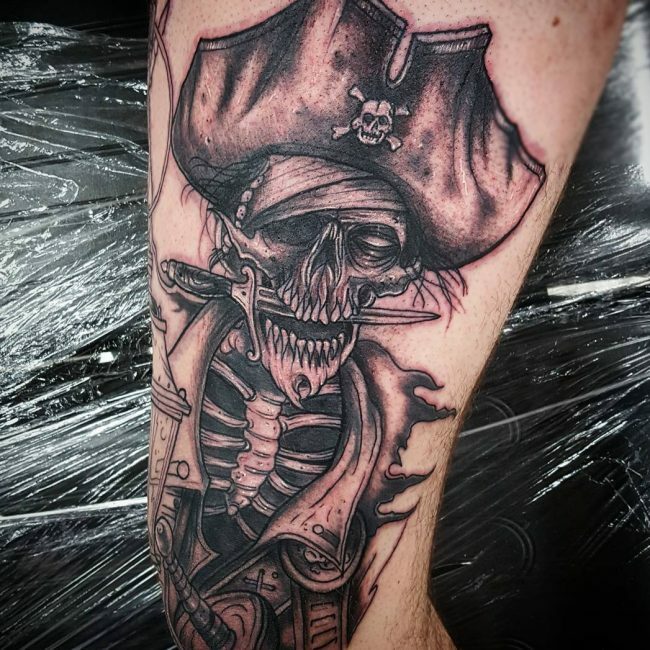 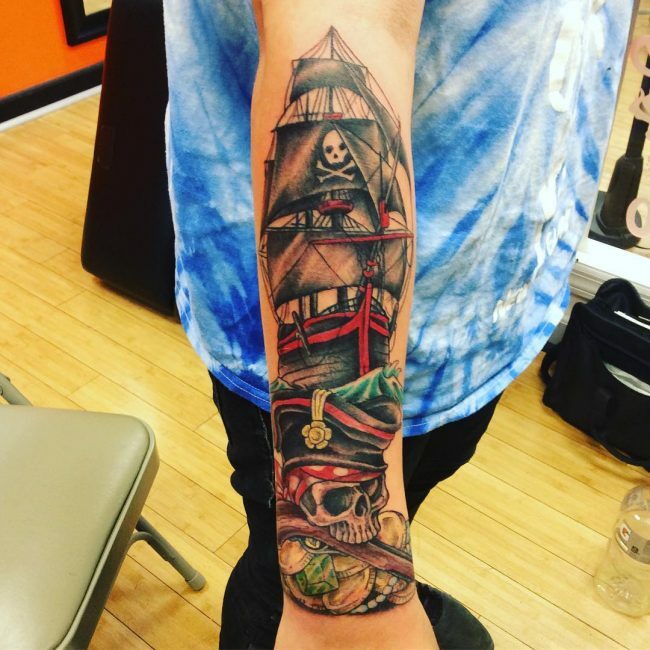 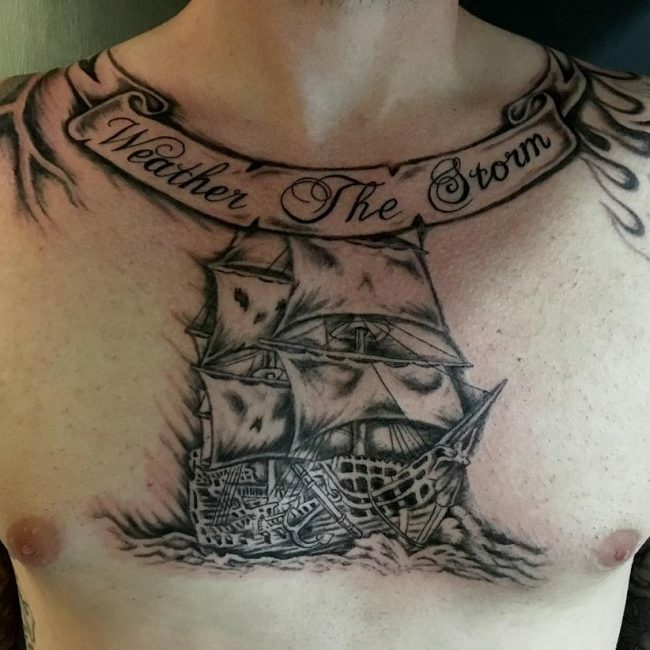 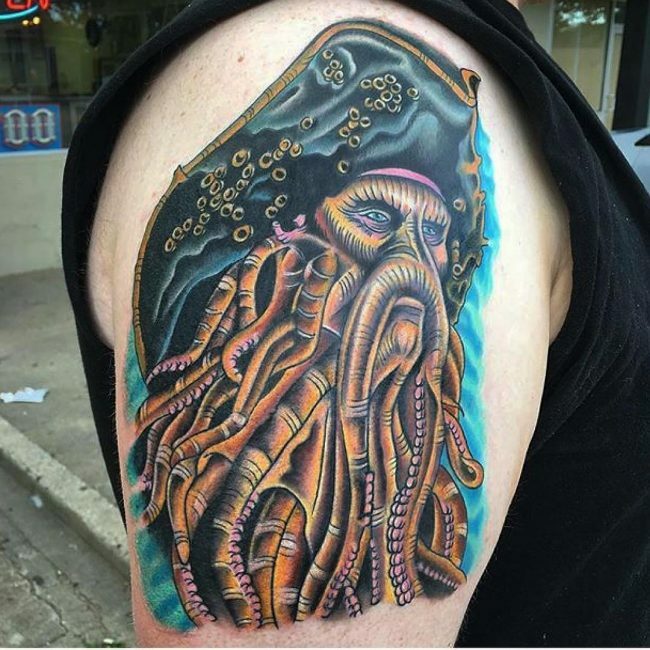 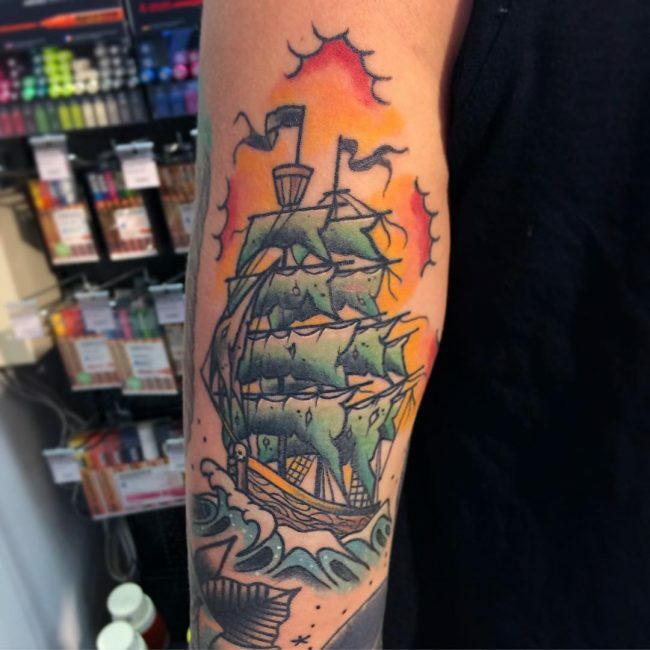 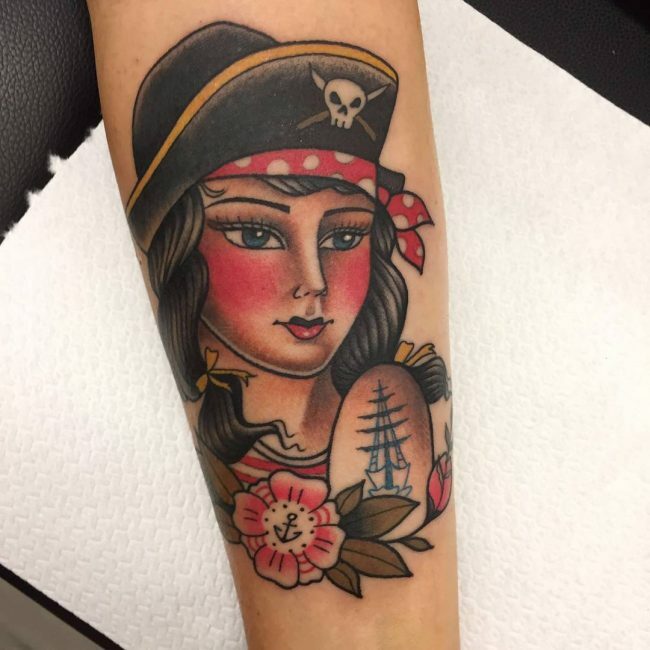 Whether you want to theme your pirate tattoo on the Pirates of the Caribbean movie and books or from myths and legends about these sailors, the design options are endless. 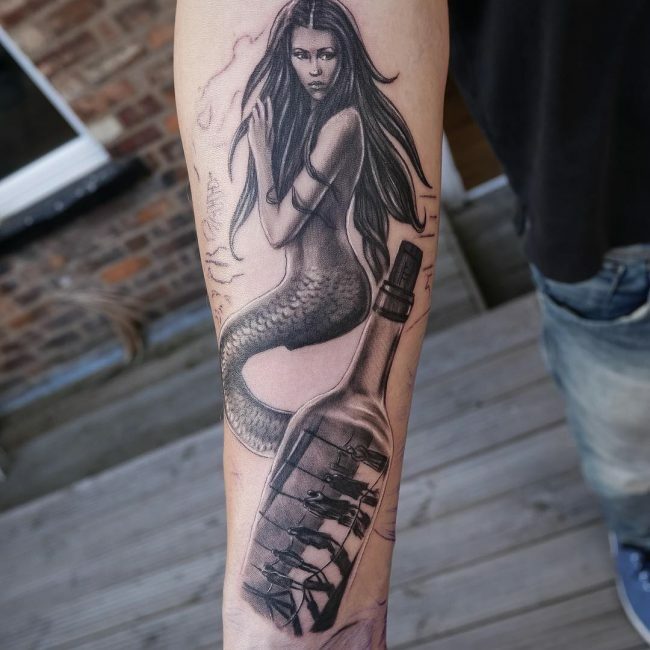 In fact, few other tattoo types are as versatile as this one. 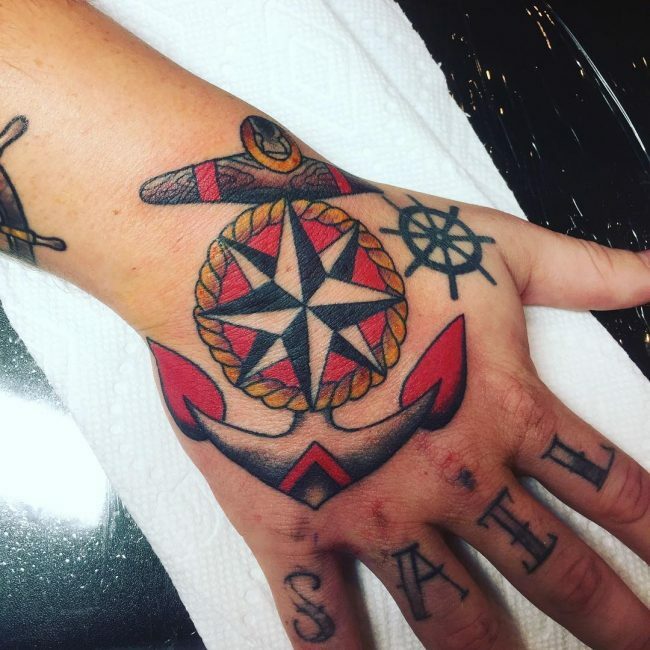 But, the designs below are the most common ones. 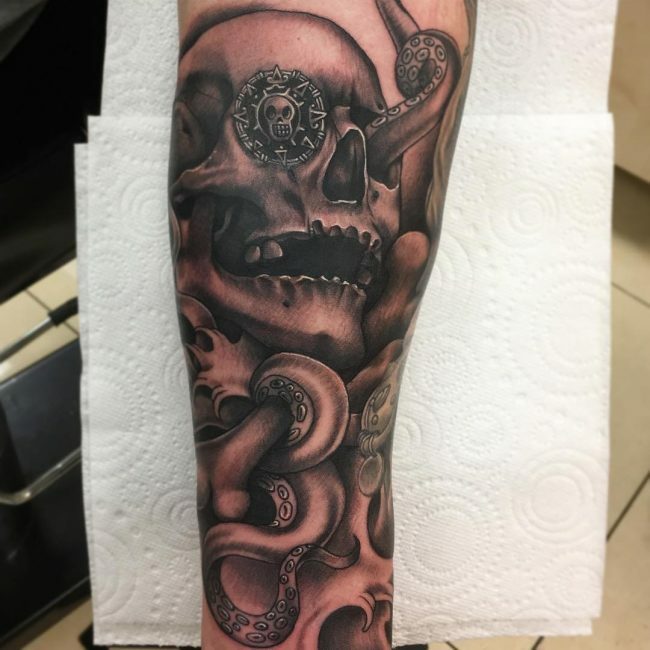 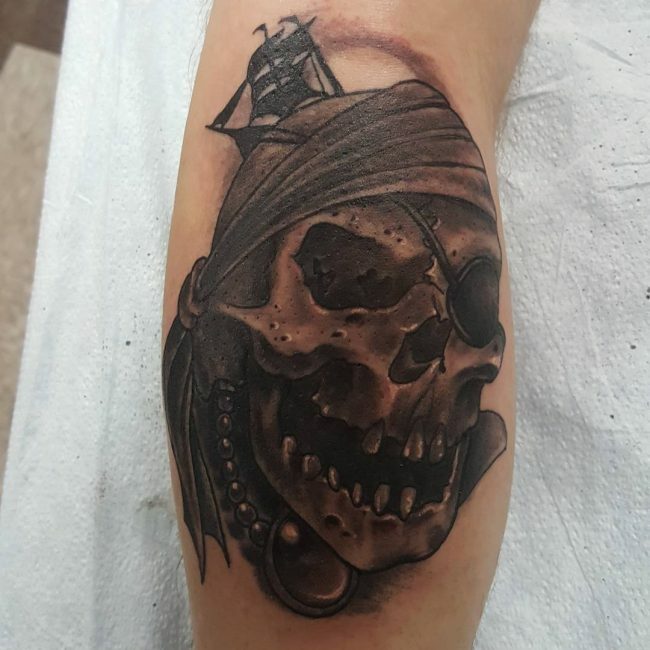 The skull is a very common tattoo symbol that holds great symbolism and it is also one of the most common pirate totem designs. 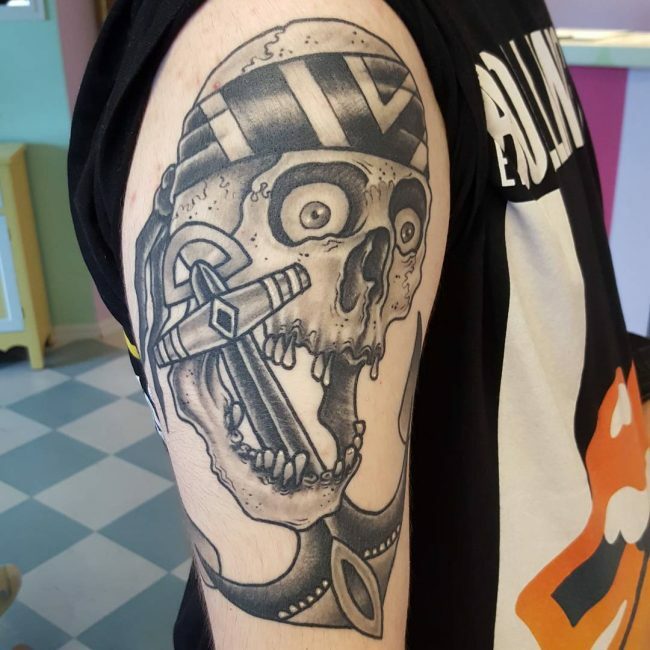 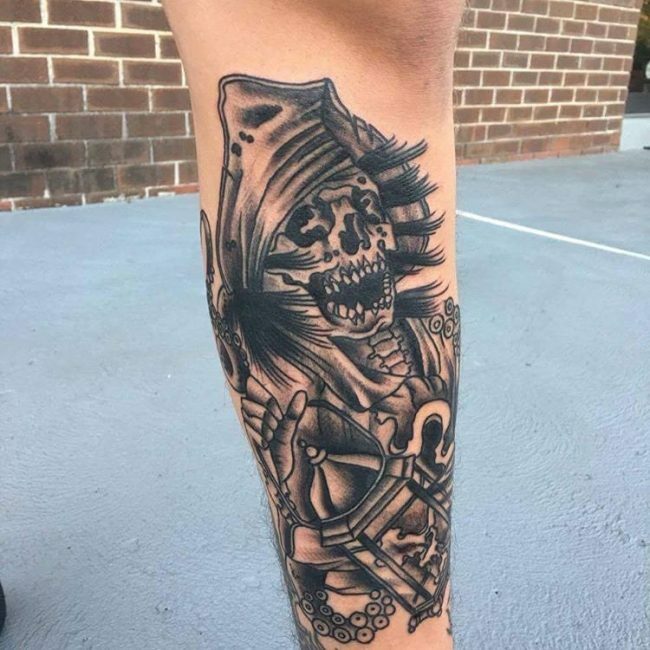 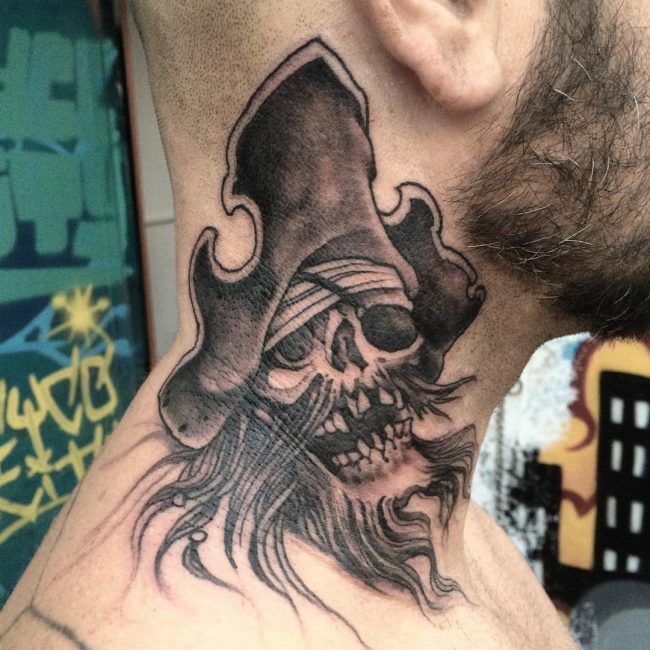 Pirates have a black flag with the skull head and two bones below it, and so you can have this as your tattoo or just draw a simple skull anywhere on your body. 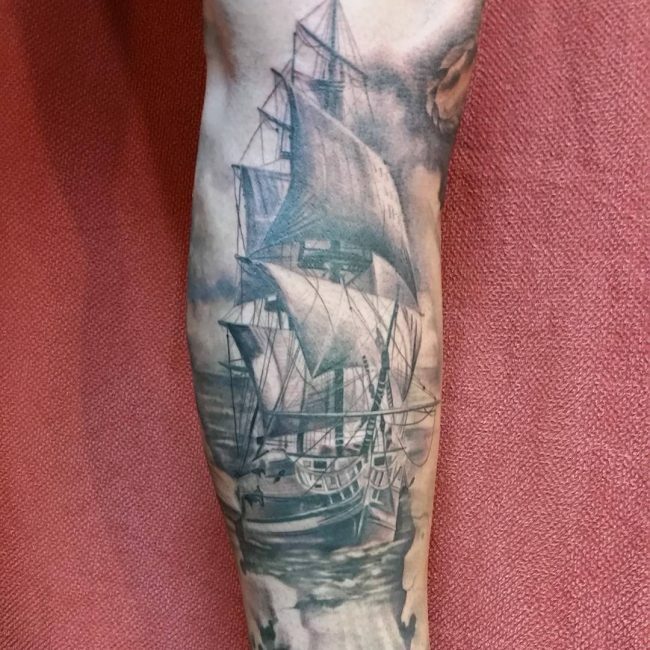 Pirate ships were extraordinary vessels with numerous modifications to make them stand out in the sea and also to improve their performance. 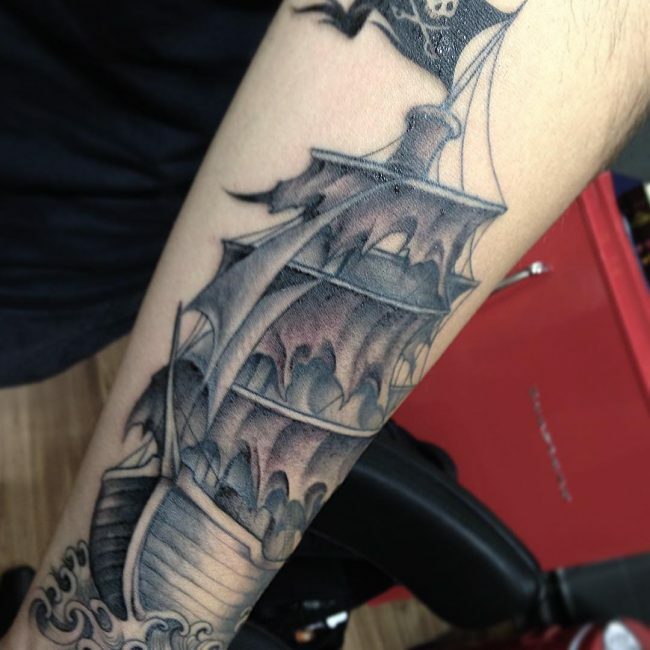 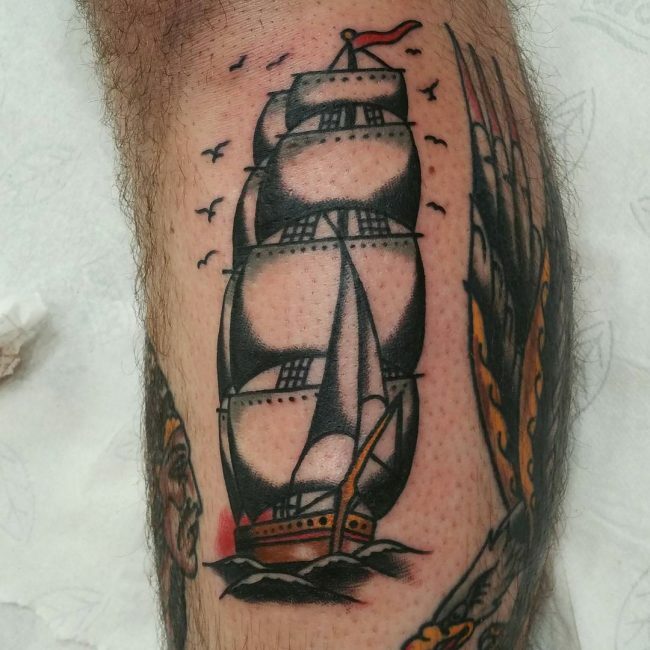 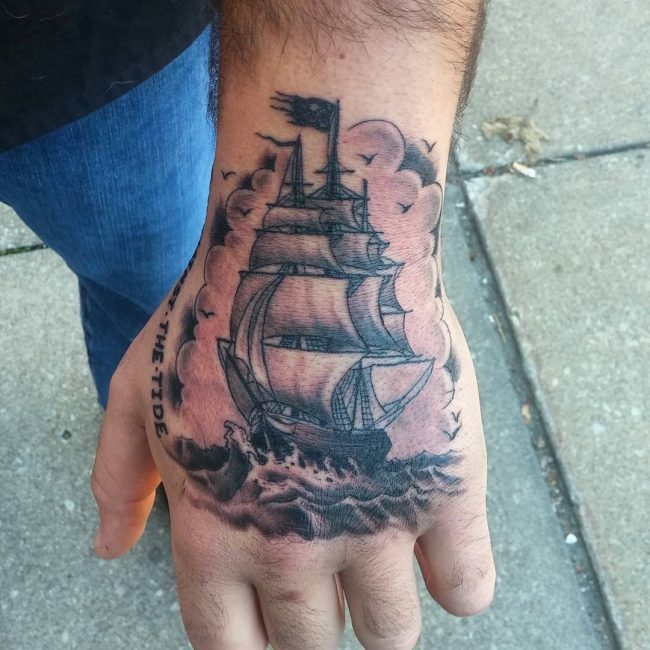 And so if you are looking for something unique to have as your pirate body marking you should draw a ship. 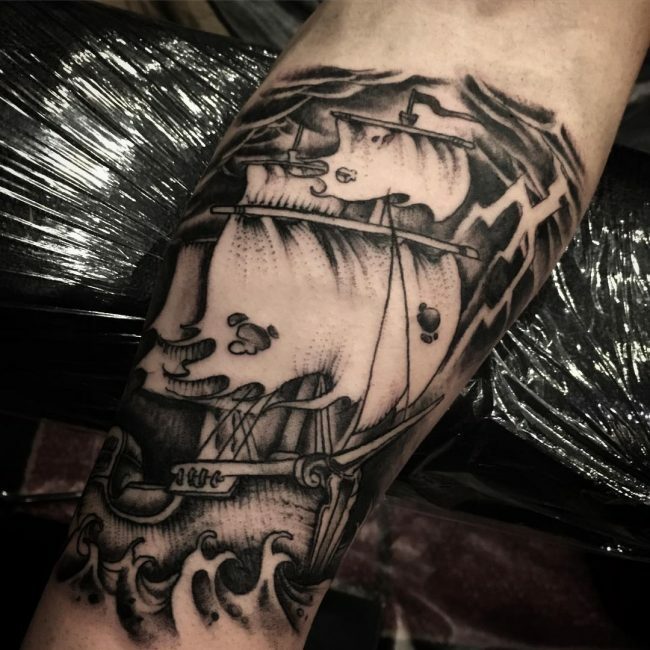 However, make sure that you get it from a talented artist so that he can capture all the details of this vessel. 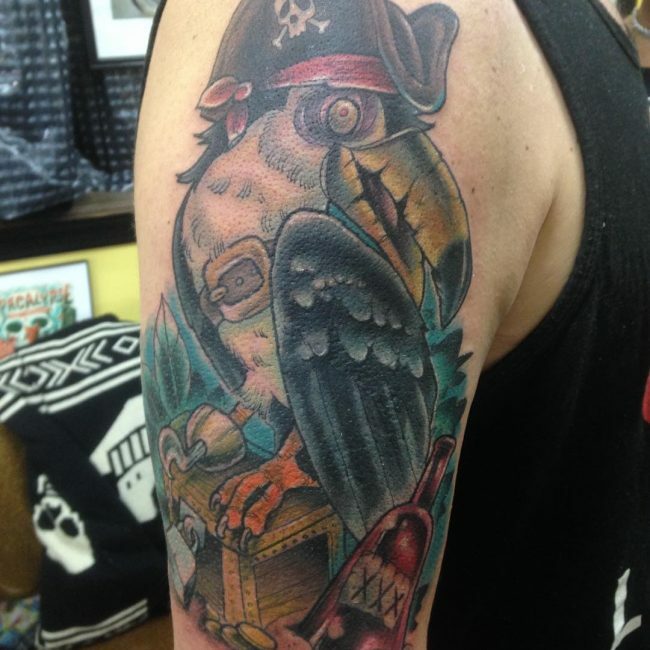 Some tattoo will portray characters from famous books and movies such as the Pirates of the Caribbean. 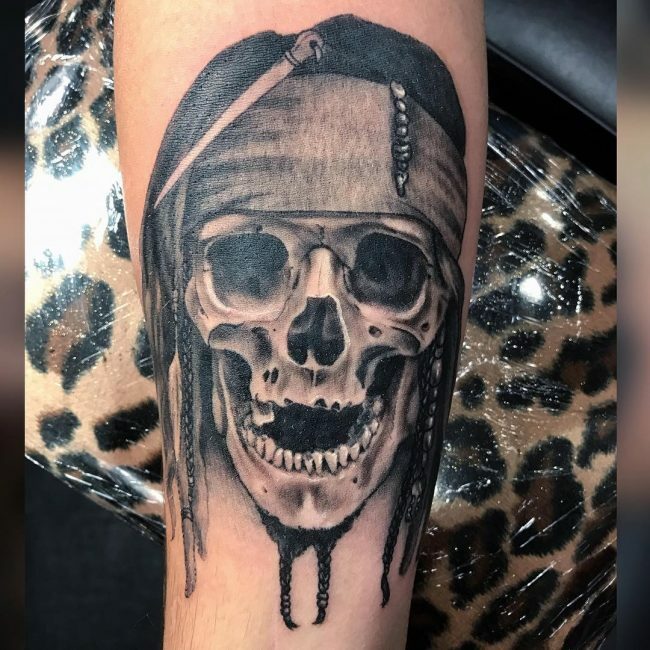 It is very common to see people drawing Jack Sparrow which is a character played by Johnny Depp in the film series. 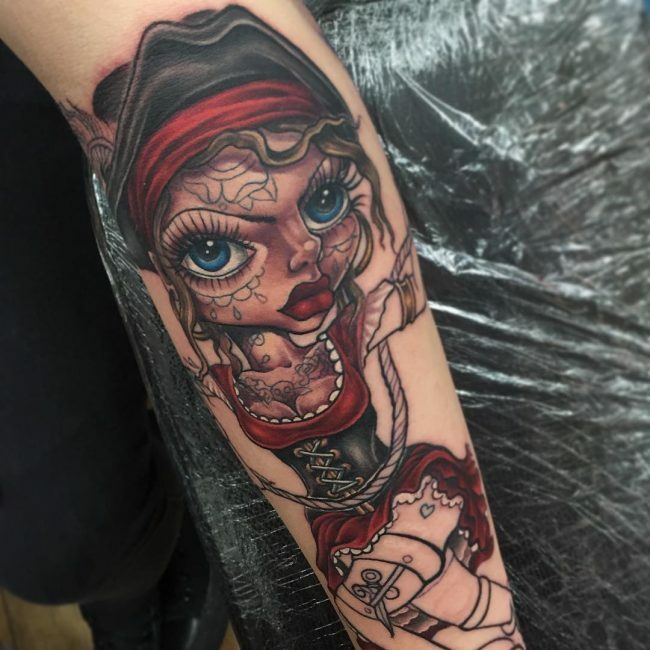 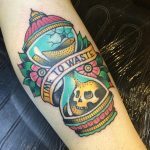 Characters from movies and books create a good tattoo theme because they are very popular and this means that most artists can draw them well and effortlessly. 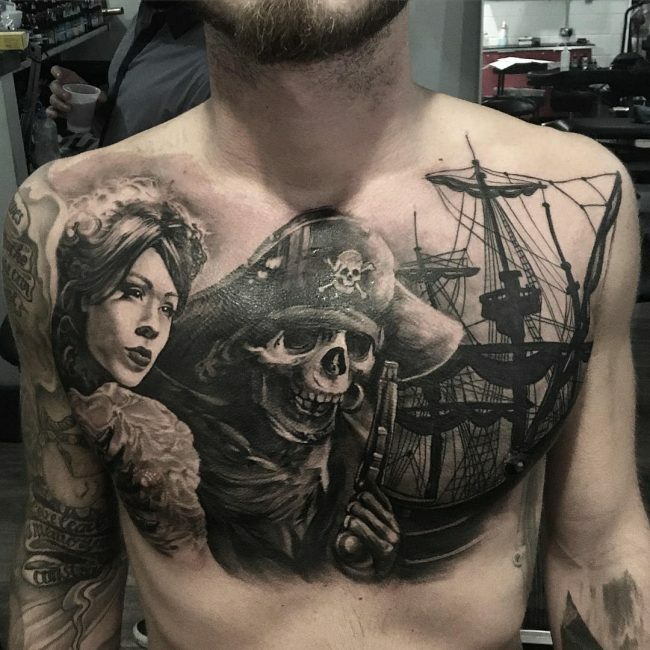 The life of a pirate is all about wealth, and so most of his time would be spent trying to get rich. 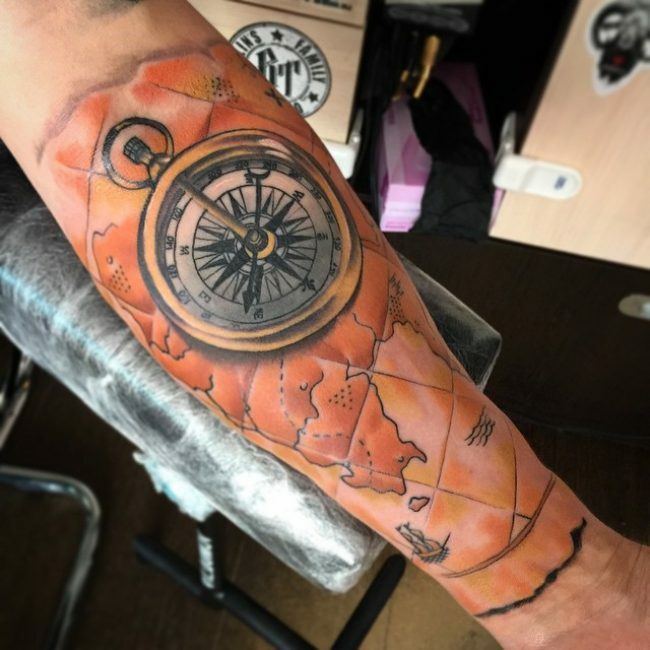 Although they would do this by stealing from merchant ships they would also hunt for treasure and so they would need maps. 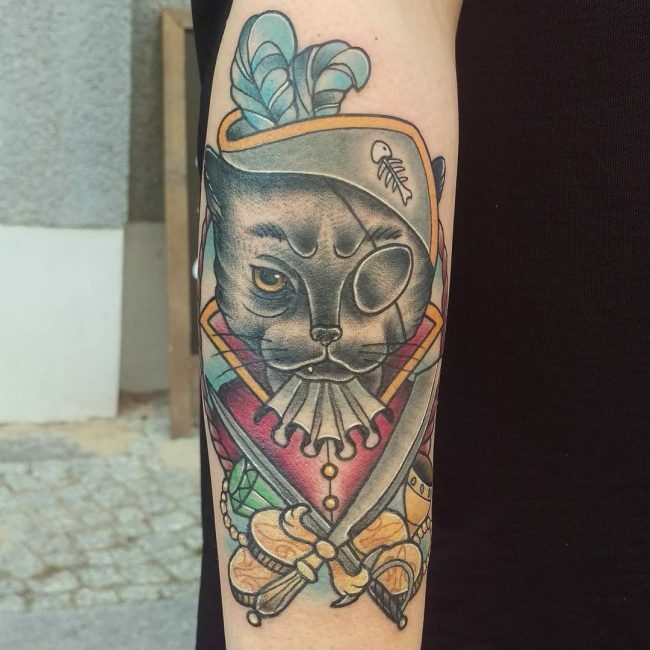 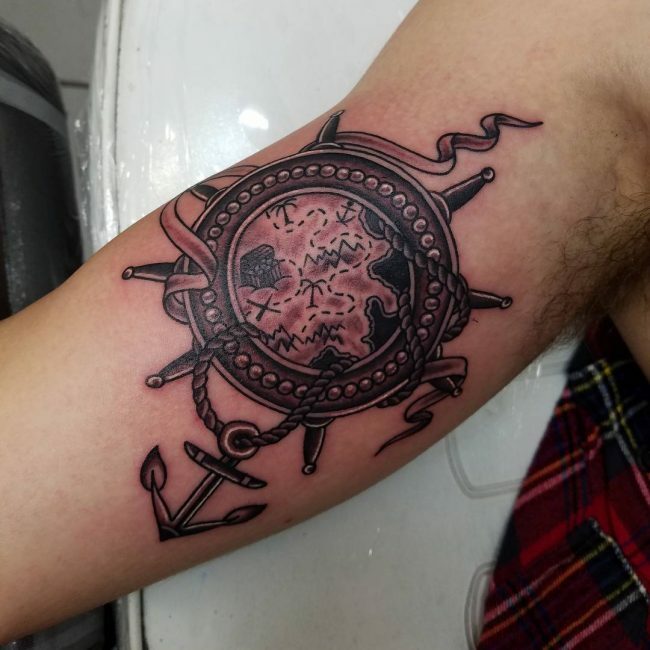 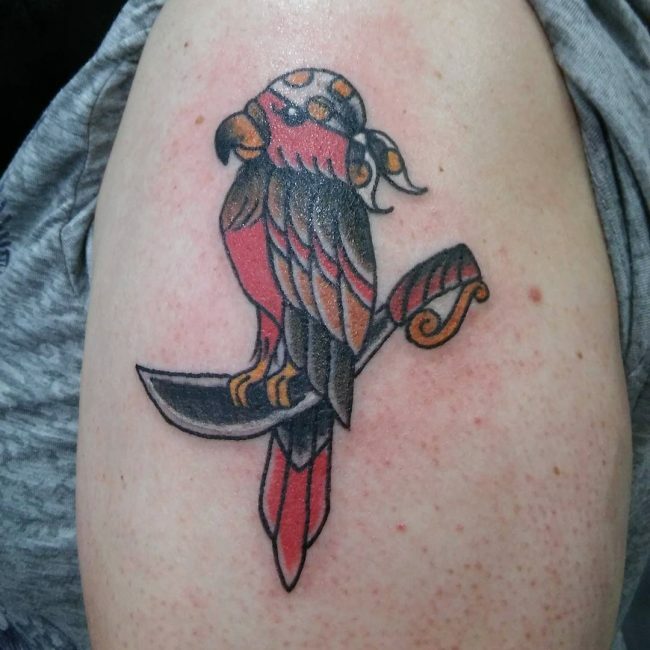 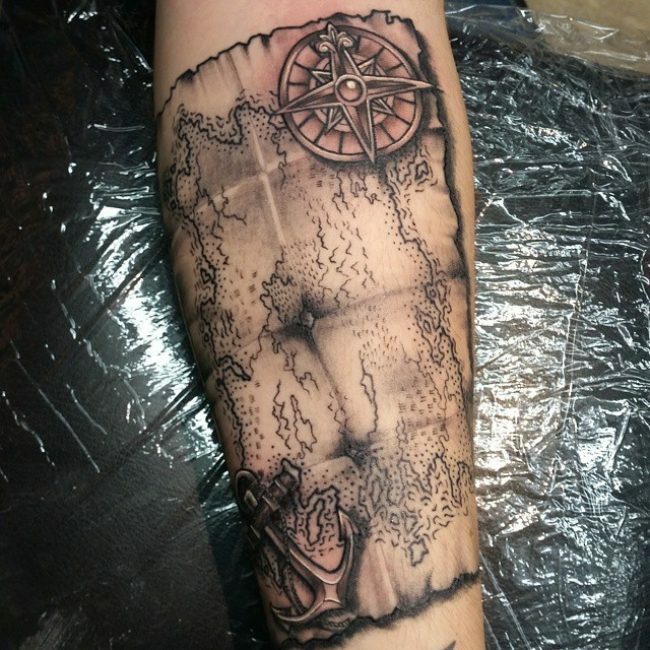 A treasure map is a unique pirate totem idea, and you will hardly see anyone else with a similar tattoo. 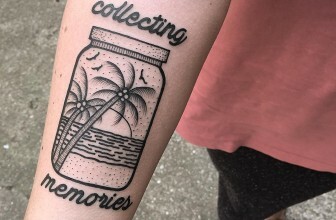 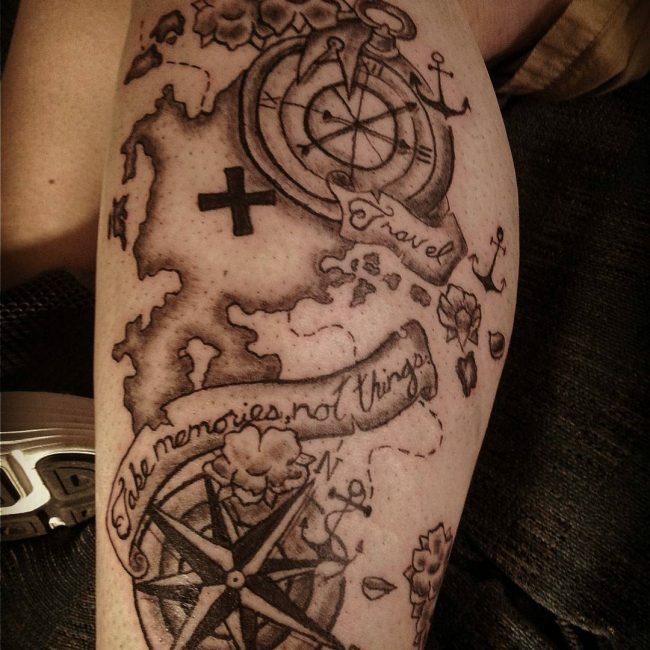 With this tattoo, you do not even need to draw a realistic map, but the best idea would be to draw a map of somewhere special to you. 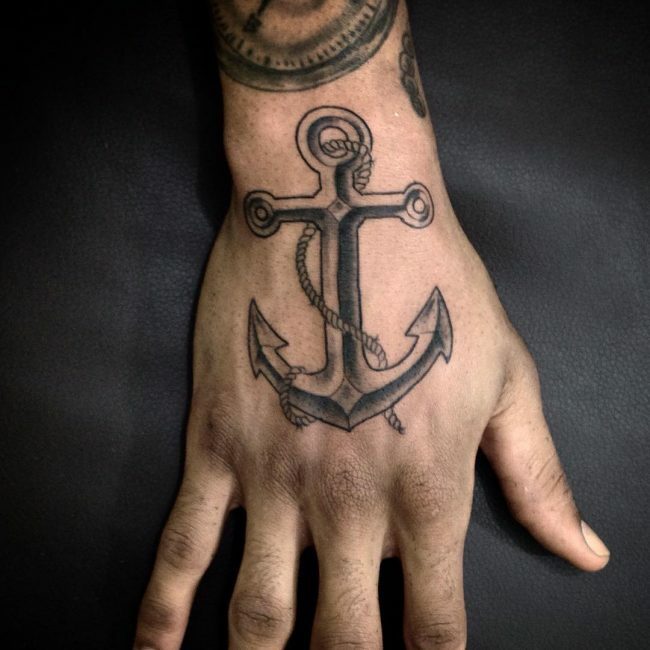 Anchors are not just a tattoo for pirates but for all seafarers as it is a very symbolic image. 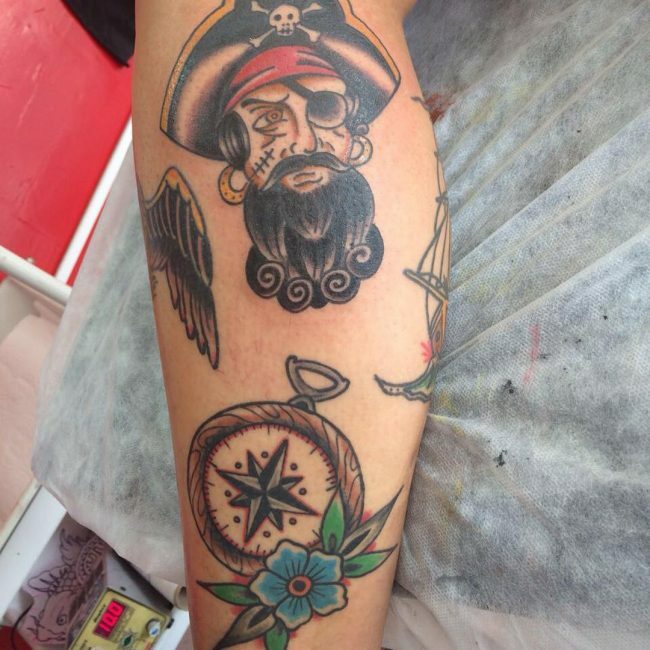 It holds several meanings, but pirates will have it as a sign of stability when they are out in the sea. 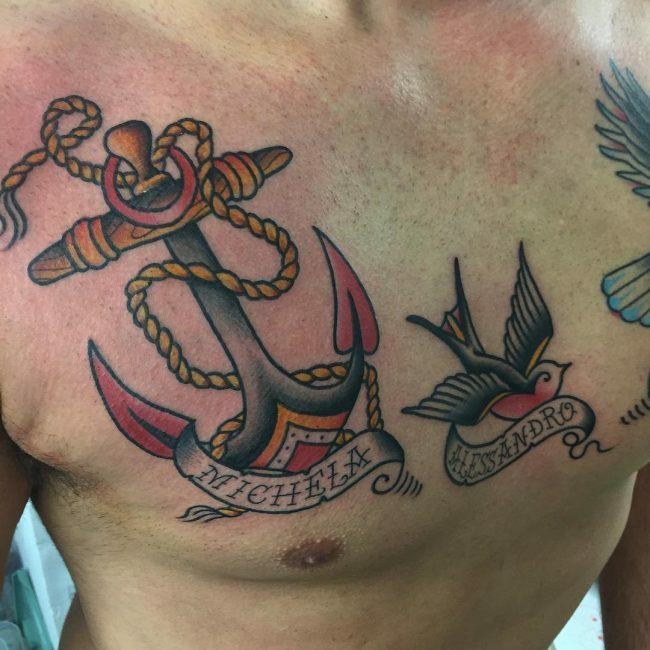 Although you can have a small and straightforward anchor anywhere on the body, it looks best and more symbolic if you add the name of someone special below it. 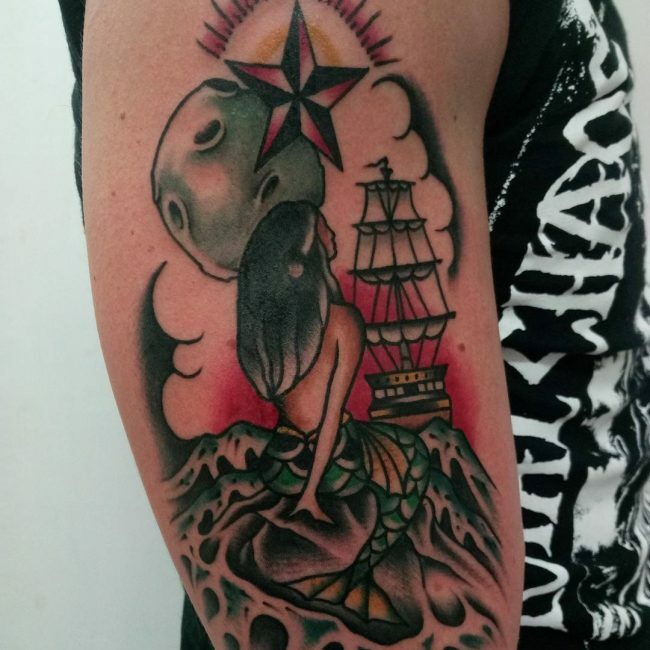 A nautical star may symbolize different things for sailors. 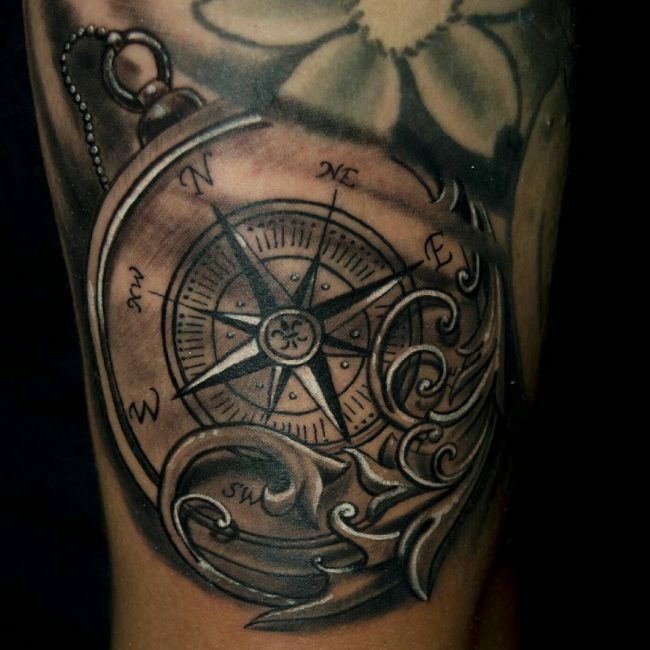 The most popular are the North Star which is also the brightest star and it is what pirates and other sailors would use to navigate. 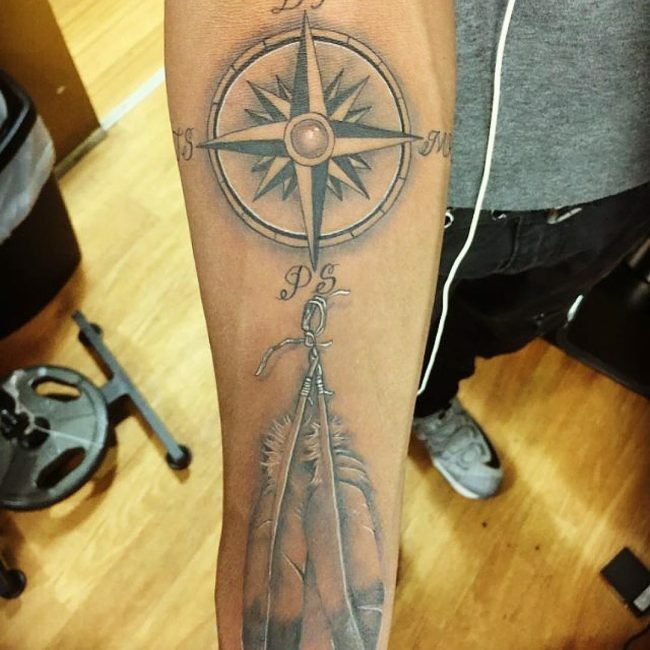 Having these stars shows that you have a sense of direction in life or at least you believe so. 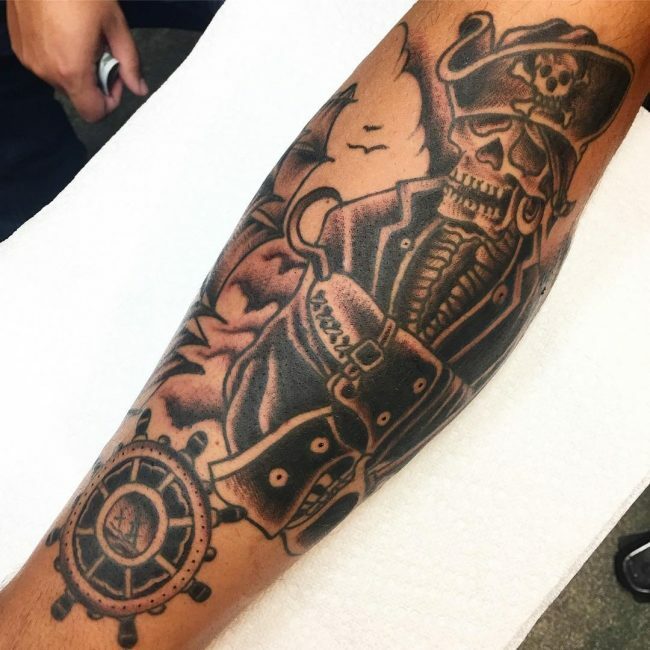 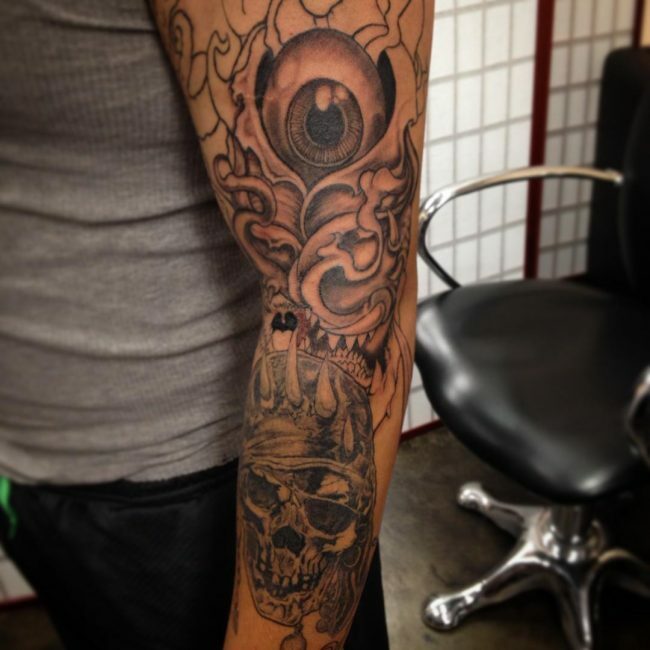 The fact that there are numerous designs to choose from means that you can have your pirate totem anywhere on the body. 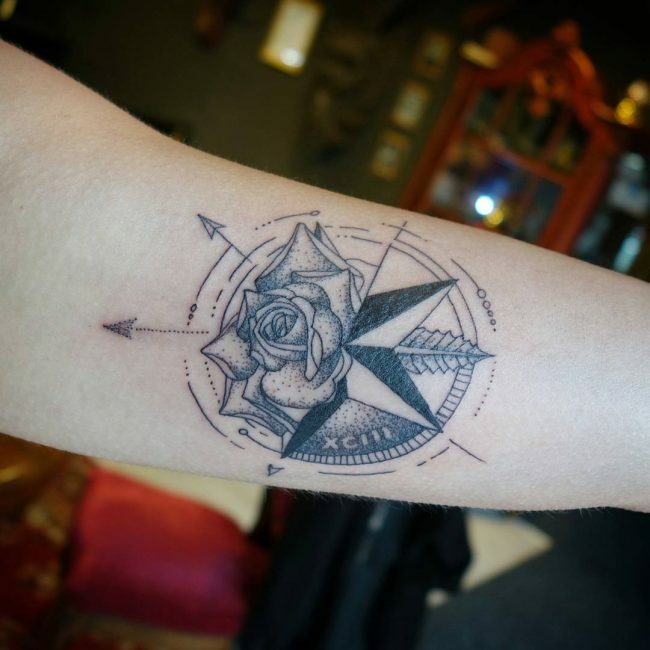 However, just like with any other totem the design, theme and size of the symbol are what dictates the best place to have it. 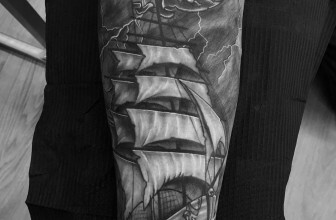 For example, a massive pirate ship looks good as a half sleeve tattoo or when you place it on the back. 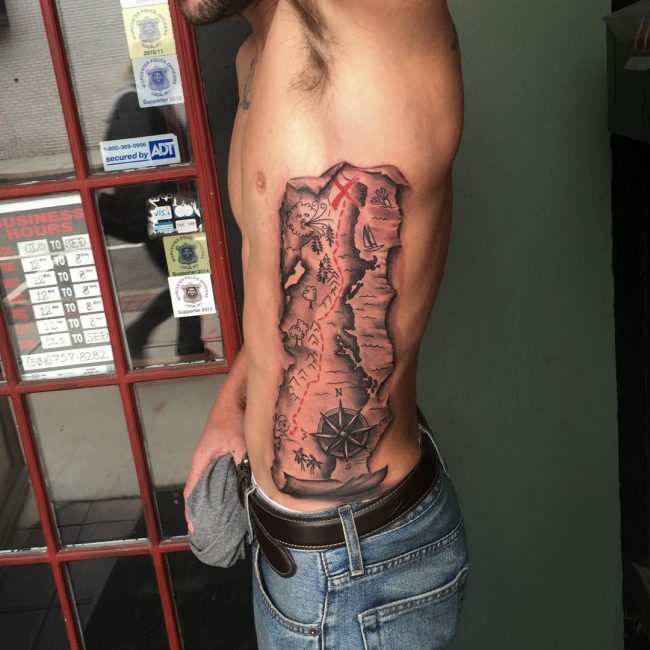 Your tastes will also determine the placement because some people prefer to have their totems on their chest, rib cage or the feet. 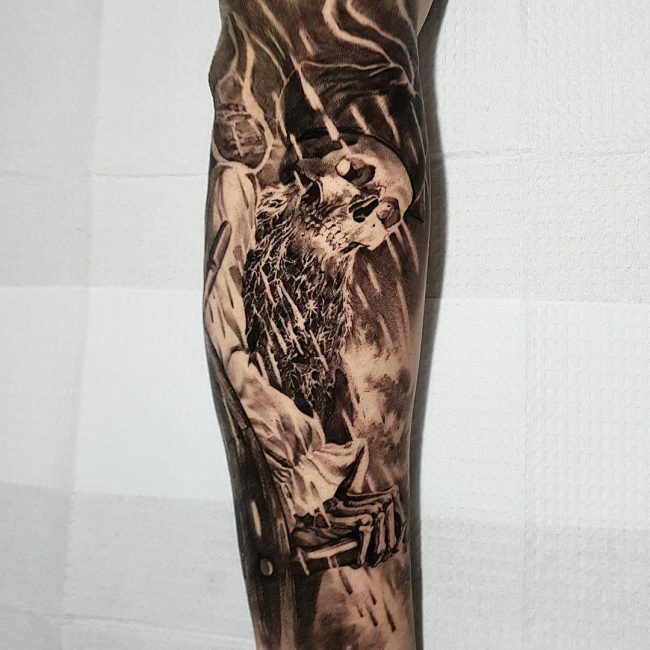 It is also quite typical to see people with small skulls on the fingers and ankles or even behind the ear. 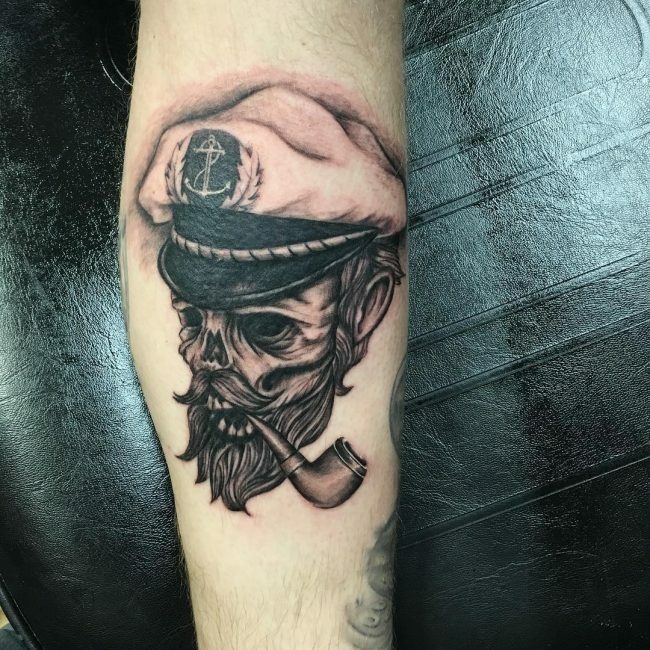 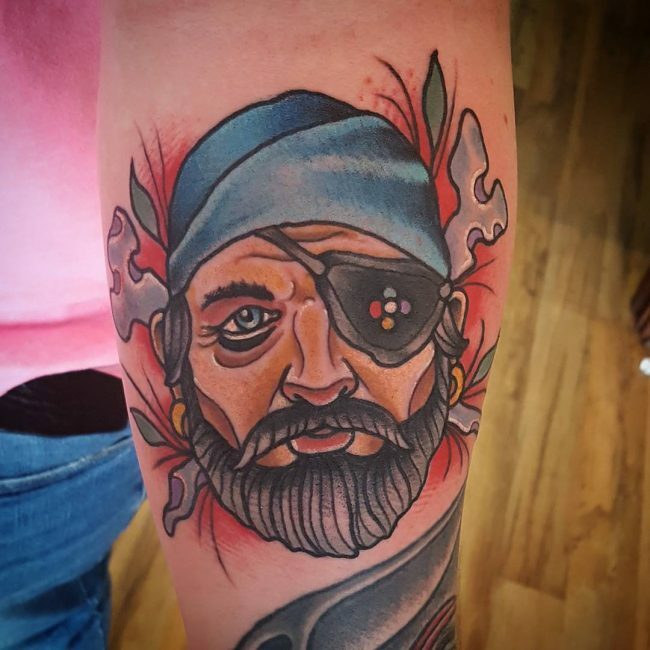 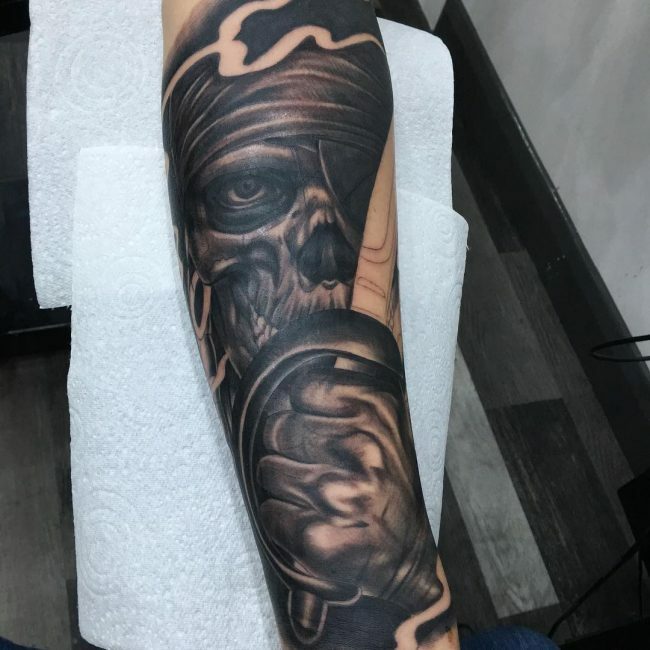 The pirate tattoo is very popular, and this is because of the famous books and movies that portray these sailors as brave and heroic seafarers. 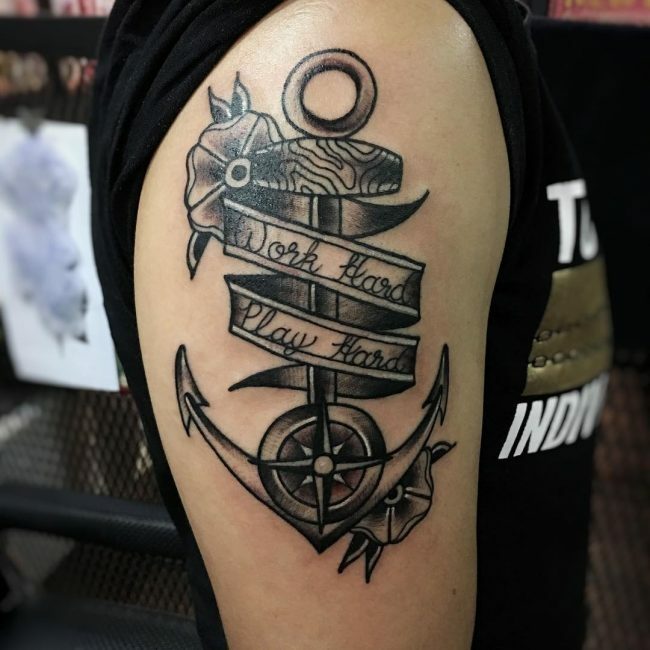 And so if you are looking for a unique and symbolic body marking they can be an excellent choice for you and this is more so because there are numerous designs available.